Photo courtesy of Goldstone Management Inc.
Paul Goldstone, owner and developer of 1001 Fourth Street, recently launched an online survey for community members to share their ideas about how they would reimagine Downtown San Rafael. 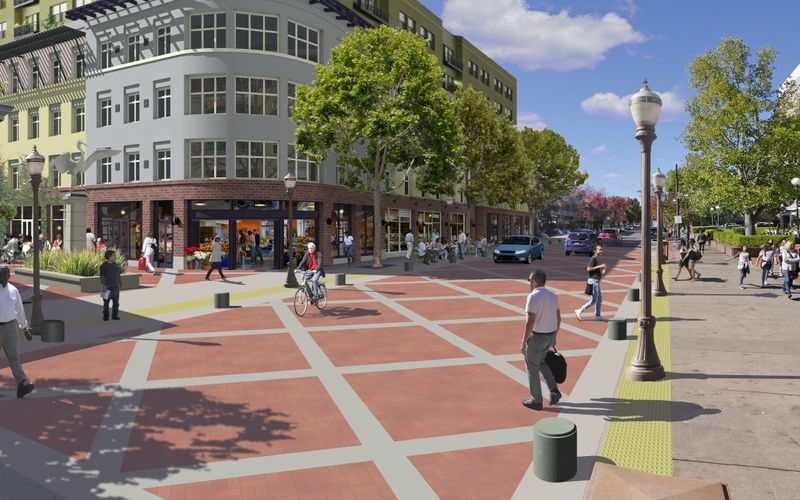 The survey solicits feedback from residents and visitors alike, asks questions relating to people’s experiences in Downtown San Rafael, and invites respondents to share their ideas about possible development and transportation options in Downtown San Rafael. There has been a lot of community interest and excitement around this particular development, so we are pleased to see this project move forward. Take the survey to share your thoughts.